Regular eye examinations are important for healthy vision. One of the unique features of the comprehensive eye examination at Chiasson Eyecare Center involves the use of fundus photography. Through this technique a "photograph" is taken of the eye. Due to the semitransparent nature of the eye, it is possible to get a glimpse of the retina and surrounding blood vessels. This "eye picture" can detect problems well in advance and before they become a detriment to your health. Many times your eyes will just not feel normal and you may have a common eye infection. Simple treatment with therapeutic drops for your bacterial, allergic, or viral condition may be all you need. Our primary care eye providers will consult you on your eye condition along with a pharmacy prescription recommended for your ocular needs. Removal of foreign particles on the front surface of the eye are a common occurrence among members of our local work force. Our office will provide the newest techniques and procedures to keep work-related injury time to a minimum. For contact lens candidates and wearers, our primary eyecare providers and the contact lens team will strive for a safe, accurate, and comfortable fit. We specialize in hard to fit contact lens patients and especially those individuals who have been unable to tolerate contact lens wear in the past! Our contact lens patients will receive a complimentary trial fitting by one of our specialists. We call this our risk-free "love them or leave them" program. This way you will experience the appearance, comfort, and vision of your new trial contact lens. You will be given a quality consultation recommending the type of lens that you should consider. If you need spectacles or just a consultation on your optical lifestyle selection, our highly trained opticians with over seventeen years of experience will guide you through our selection of over eight hundred frames. Check out our selection of frames. In your eye, there are passages that allow fluids to properly drain. If these passages for any reason become blocked it will cause a condition known as glaucoma. With glaucoma, the pressure increases inside the eye due to the blocked passages, thus damaging the optic nerve. The optic nerve is the primary component of sight, carrying visual stimuli to the brain. 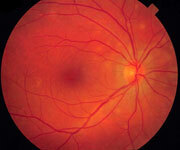 If untreated, glaucoma can cause permanent blindness. Glaucoma in many cases "sneaks up" on its victims. The pressure usually builds up slowly and may go undetected. 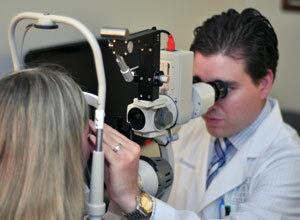 Regular eye examinations are a critical preventive step in heading off glaucoma. Glaucoma can strike people of any age, but the elderly are most susceptible. Our office features the latest technology in state of the art ocular ultrasounds and nerve fiber analysis. 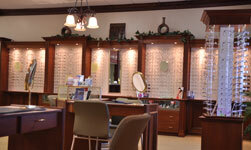 Cataract services at Chiasson Eyecare Center are provided by staff members of Eyecare Associates. Donald Cerise M.D., (Thibodaux) and Ronald Landry M.D., (Raceland) perform outpatient Cataract procedures at local hospitals. Patients also have the option of having cataract surgery at Eyecare Associates state-of-the-art outpatient surgery center located in Metairie, LA. Cataract patients will be referred to Drs. Cerise and Landry for cataract consultations in both our Thibodaux and Raceland offices. Resting behind the pupil of your eye is a clear lens. As one ages this lens slowly clouds and hardens. When the lens gets to the point that it is so cloudy that it affects vision or is even opaque, it is referred to as a cataract. Cataracts will vary from slight cloudiness to being totally opaque. Cataracts typically affect the elderly, but will occasionally affect younger people. Cataracts may develop gradually or suddenly. In some cases the cataracts may not be bad enough to warrant surgery. The decision on what is the right treatment course for you will depend on a number of factors. If surgery is ultimately the course of action, then intraocular lens implants will be inserted in your eye and will serve as a new clear lens for your eye. 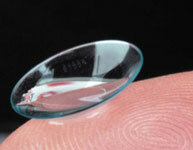 Eyeglasses or contact lenses may be needed after surgery. Refractive Surgery is a procedure which may eliminate or help reduce the need of glasses or contact lenses. One may consider refractive surgery if the eyes are healthly, stable, and within the hyperopic and astigmatism guidelines of refractive surgery. Imagine being able to play sports, work, drive, and watch TV without spectacles. Each refractive procedure has its benefits and risks depending on ones visual requirements and prescription. The doctors will help one decide which procedure, if any, is right for you. Refractive surgery procedures will be performed by staff members of Eyecare Associates in a state-of-the-art Surgery Center. LASIK flattens the cornea with the laser. 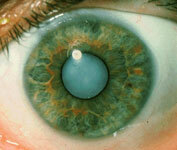 The top portion of the cornea is lifted away and remains attached on one side. The excimer laser then delivers a computerized number of pulses of ultraviolet light. 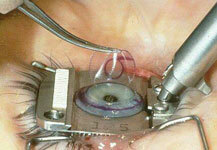 Once the eximer laser has reshaped the cornea, the flap of the cornea is put back into place. The eye heals naturally and light rays are focused more directly for improved overall vision. We are currently using the newest technology in 3rd generation lasers.